I've turned 21 today! I'm 21, legally 'marriageable' but who cares for that, when you've to kickstart your own life.Its a great day for me, today I can see myself as a sane individual. The personality of a individual is greatly dependent on the way s/he is brought up as a kid (for all those who have attended my creepy 'Child Psychology' prez must be knowing). Right now, I feel I am standing on top of a tower and I'm seeing a newly born healthy baby named Amod and analyzing how he fared in his life in the given conditions. What I could have been and what I am are quite far away, but nevertheless I love myself and I'm grateful to all those who have showered me with their love and benevolence. Childhood are best days of one's life. I have had a great caring family in sound economic condition hence I started better off than millions. I was introvert and never had urge to speak my heart out. Being the most silent kid, I was considered as a suspicious mysterious creature in class and my excellent academic performance( good ol' days) labelled me as intelligent, a burden that I had to carry unwantedly for all of my life. Today I feel I should have talked to a few guys because silence is intriguing and hardly gives you any scope to socialize. My family was li'l over protective about me which hindered my natural development to some extent, but they're right from their point of view. 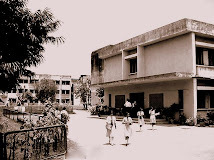 When my father got transferred to Muzaffarpur in 1992 I came to a bigger school and saw new kind of animals(ppl). I made new friends and learnt a lot. But I had never mustered the courage to do something different, though I always wished to. That is one part which I would like to change, incase I go back in time. Being selective is appreciable, but neglecting the basics is not, thats one more thing which needs amendment. I was never a deprived kid, I could've got whatever I'd have asked for but I never had any demands. Now I repent when I realize that I spent my kiddays without this. The kind of relationship kids share in school is purest, and those memories are most cherished. I'm lucky to get good friends. I have really amazing friends who are good at heart(comments plz!!!). Back in school days, though I never cared to mixed up but I was always taken care of and considered to be a part of the group. Even in college, I'm so popular for absolutely no specific reason at all. And I've got lovely nicknames... and the story behind them is hilarious. But still when I see myself from top of that tower, I feel I have missed a lot. There were many guys(gals included, whenever I say guys) who wanted to be friends with me or I wanted the same, but knowingly or unknowingly I didn't realize it. I wish I find them again during my journey of life. School mein jo hona that ho gaya. 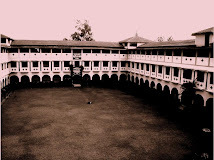 Now don't let the history repeat itself in the college. @viki- I'm not letting that happen in coll, but some ppl r really not worth. "for absolutely no specific reason at all"??????????????????????????? is the tall girl around???? gr8 post dude, keep sharin(i really mean that). kya amod .. we been hearing stories whose this gurl.. oooh @ beauty of the batch lol.. hmm.. why no new posts?